Skip the soggy cereal and dive into one of these breakfast meals instead: They’re healthy, yummy and low-cal to boot! I have great intentions: For instance, I always intend to eat more fish, but for whatever reason, I only end up eating it once or twice a month. That’s why I was so pleased to learn that fish isn’t the only good source of essential omega-3 fatty acids. Eggs also provide them in droves, contributing an average of 180 milligrams (or 20 per cent of the omega-3 adult intake recommendation for women) in every egg. When you’re keeping your calorie intake in check, this zesty spin on a classic egg dish allows you to enjoy a delicious hot breakfast while keeping your calories to a minimum. Put a medium saucepan on the stove and add water (around 6-7 centimetres) and the vinegar, with a little salt to taste. Bring to the boil. Break an egg into a small bowl and reduce the heat under the saucepan until the water is barely bubbling. With a large spoon, gently stir the water in a circular motion to create a “whirlpool”; this serves to draw the egg into the centre. While the egg is cooking, toast one large piece of bread. When toasted to your liking, skip the butter and smear it with seeded mustard. Cut the toast in half. 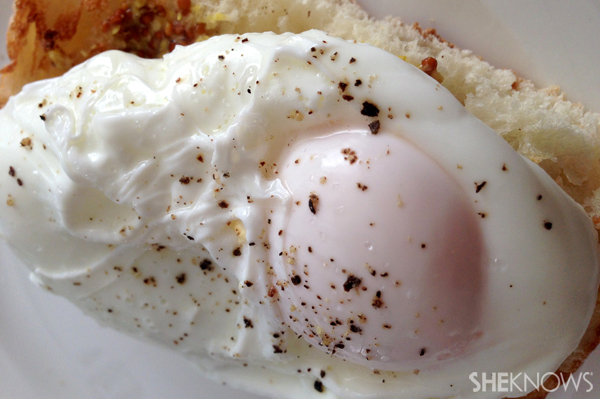 Place an egg gently on top of each portion of toast and season with cracked pepper and sea salt. Allow 3-4 minutes if you like your poached eggs with firm whites and soft, runny yolks; an extra minute or so for firmer yolks. This warm and filling breakfast is not only a taste sensation, it also ticks all the nutritional boxes. Carbs are provided by the quinoa; fruit comes in the form of banana; the honey gives a shot of natural sugars, and the iron-rich soy milk serves a healthy dose of protein. It’s so yummy the kids will down it in a hot minute without even realising it’s good for them. In a medium saucepan, heat 2-1/2 cups of soy milk and vanilla extract over a medium-high heat, until almost at the boil. Once a few bubbles appear, turn the heat down to medium-low and add the quinoa and brown sugar. Stir regularly for 20-25 minutes (to ensure all the milk is absorbed, while avoiding the mix becoming stodgy); add the cinnamon towards the end. Warm the syrup or honey in a small frying pan, then add sliced banana and nuts, tossing gently for a few minutes. 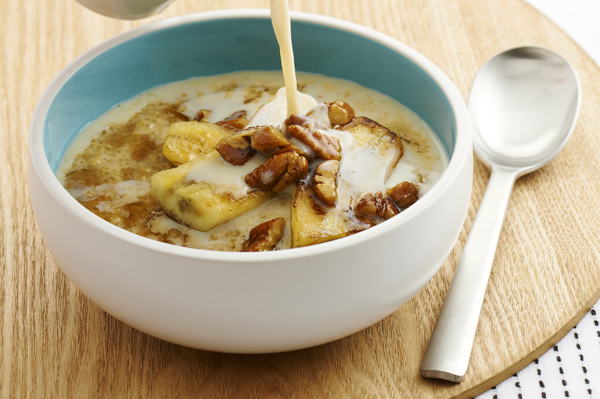 Serve the porridge with a little extra soy milk and the warm banana and nuts on top. If you’re trying to play down sugar in your diet, use natural, organic Manuka honey and substitute the 2 tablespoons of brown sugar with 1 teaspoon of the natural sweetener, stevia. 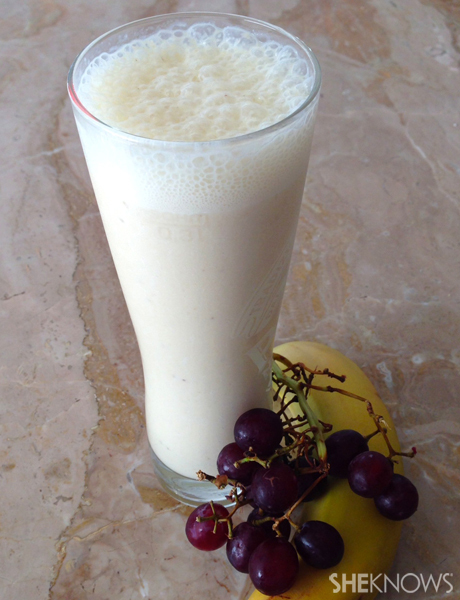 Pop all of the ingredients in a blender and whiz for 1-2 minutes until blended. Serve over cubes of ice with a piece of fruit on the side — it’s as easy as that. If you want to boost your fibre intake, add a Weet-Bix or two. Freeze the bananas the night before for a chillier, creamier consistency.